Posts to any category are stored in the Community Manager> Social Network area. You can view the posts and replies by clicking on the category title. From here, click View Replies under the post that you are looking to view / edit / moderate. The next screen will show you all of the comments/ replies within this thread. Simply click into the one you'd like to edit. This is the view from within the comment for a moderator. 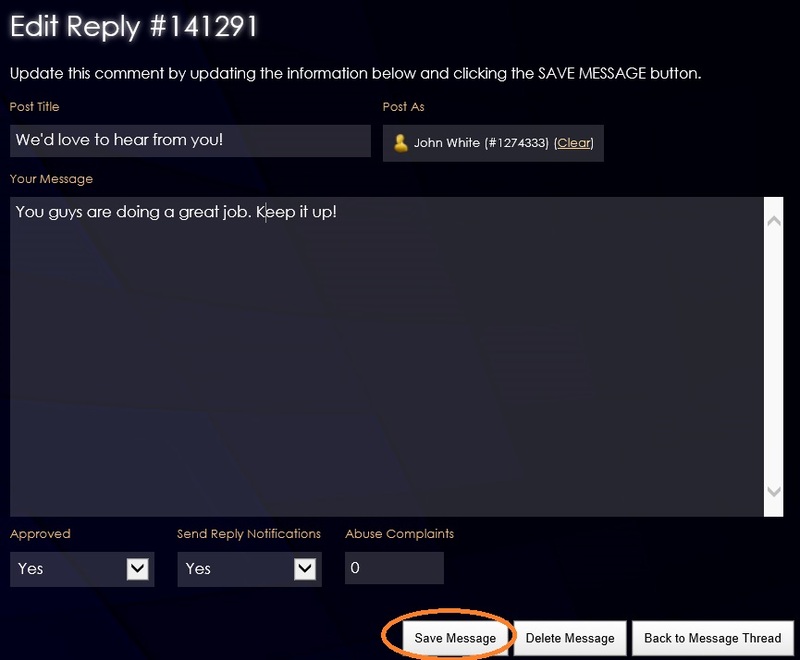 If making changes, be sure to click Save Message when finished. Doing so will save and apply your update(s) to the site.